With over 1300 pages and 150 maps, the Rough Guide to China is the essential handbook to this vast and extraordinary country. In-depth coverage of the entire country, from buzzing Beijing, Hong Kong and Shanghai to the ethnic minority regions of the southwest and Tibet. The authors give expert practical advice for every budget on where to stay, where to find the best local cuisine and getting round by public transport. There are also invaluable translations into Chinese script of place names, accomodation and restaurants. 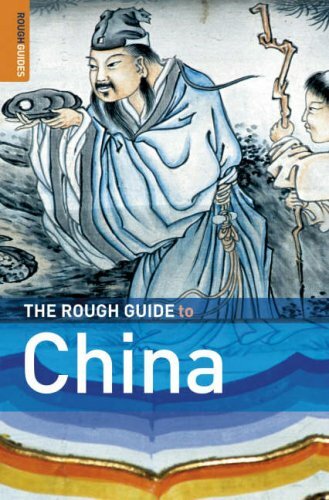 The guide also gives a detailed background on China''s history, politics, cultures and peoples. "Best guidebook" Sunday Times "Historical and cultural erudition combined with down-to-earth practical advice puts this guide streets ahead of the competition" Watersone''s Books Quarterly. David Leffman is an established Rough Guide author and inveterate traveller with a long history of visiting China. Simon Lewis first visited China in 1993 where he studied Mandarin Chinese, after working as a barman, teacher and life model in Hong Kong.